Christmas is quite frankly the most wonderful time of the year. A chance to spend time with your family, friends and loved ones, to indulge in festive food and drink and battle it out with your family to be the winner of Monopoly. 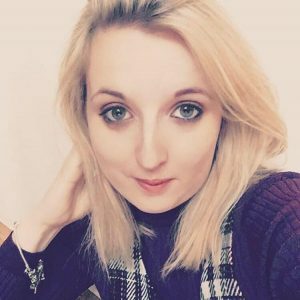 I’m not sure where 2018 went but as we get closer to my favourite day of the year take a look at how myself and my fellow bloggers are getting into the festive mood..
Baking at Christmas is a very exciting activity, you can cover everything in glitter and give baked goods to family and friends as presents or to wow at your festive dinner parties. Baking not only relaxes me and makes me happy but the act of actually creating something myself from scratch for others to enjoy is one of the most rewarding hobbies you can have. Preheat the oven to 170°C/325°F/gas mark and line a 23 x 5 baking tray with butter and greaseproof paper. Is it even Christmas if you don’t have mince pies somewhere in the house? 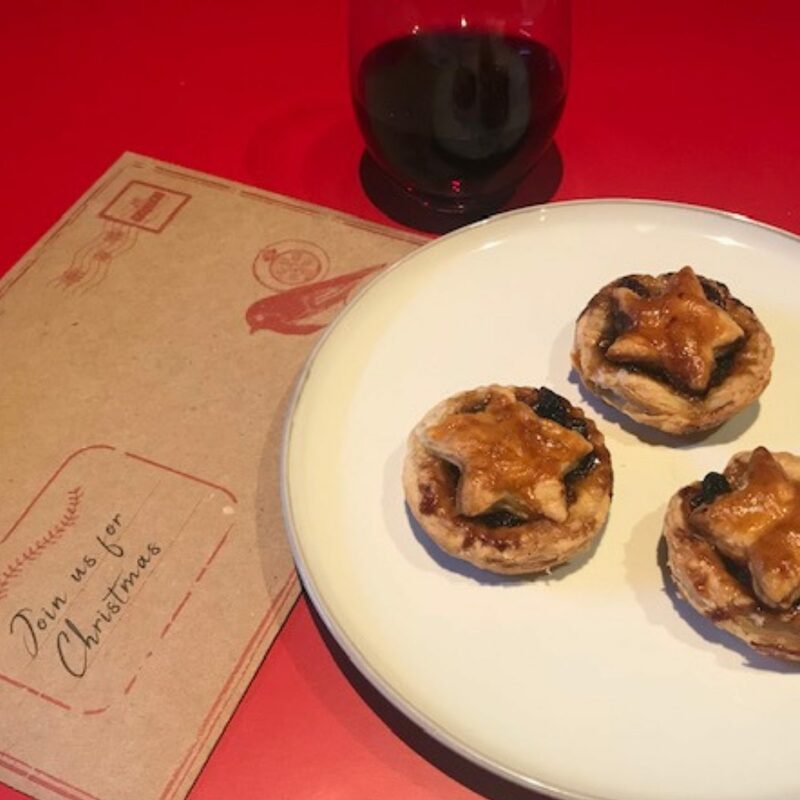 Yes you can buy great quality ones from major supermarkets but it’s surprisingly easy to create homemade mince pies when you follow this recipe to bake 12 mince pies. Lay out the puff pastry on a lightly floured surface and cut out 12 circles using a round pastry cutter. Place the circles on the baking tray with space between them. Add a spoonful of mincemeat to each one being careful not to overfill. Brush the edges of the pastry with the beaten egg and then roll our the remaining pastry to cut out 12 star pastry lids. Carefully place the lids over the top of each mince pie and pinch the edges together with your fingers. Brush the top of the mince pies with egg and sprinkle a little of caster sugar. Bake in the preheated oven for 15-20 minutes, then set aside to cool. Why buy gifts and cards when you can make them yourself? Not only is it a lot cheaper but it adds more sentimental value to the whole aspect of giving during this festive season and I don’t know about you but giving and making other people happy gives me this real warm fuzzy feeling. 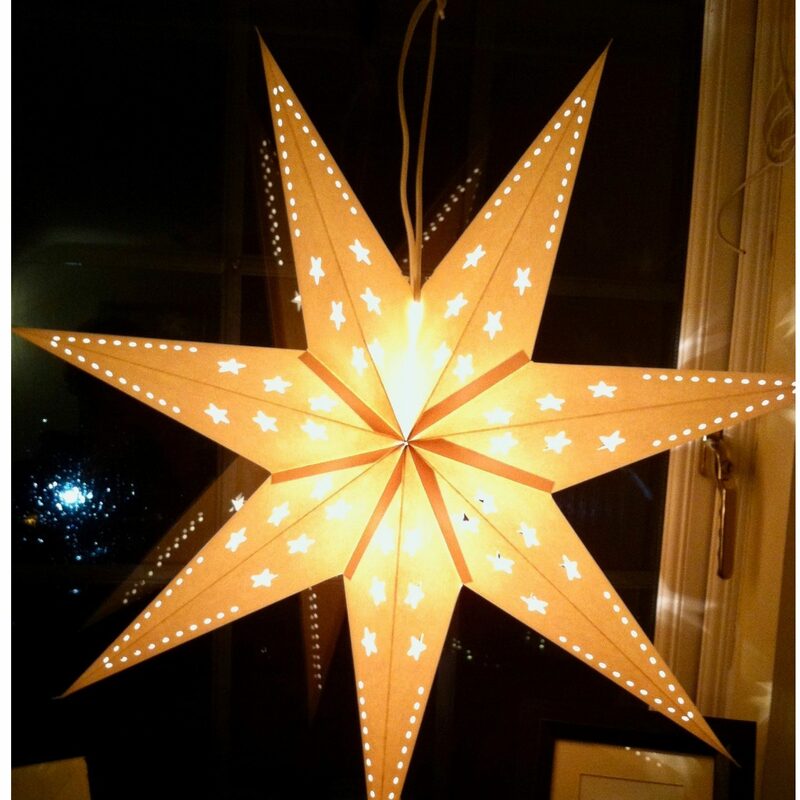 These are my favourite Christmas crafts…. Last year I started the tradition of making my boyfriend an advent calendar, I bought the tree structure from Hobby Craft along with festive red paper, advent numbers and christmas themed paper. It took me a day or so to decorate and I then filled the draws with his favourite sweets, chocolates and some little gifts like a lego stig and aftershave samples. 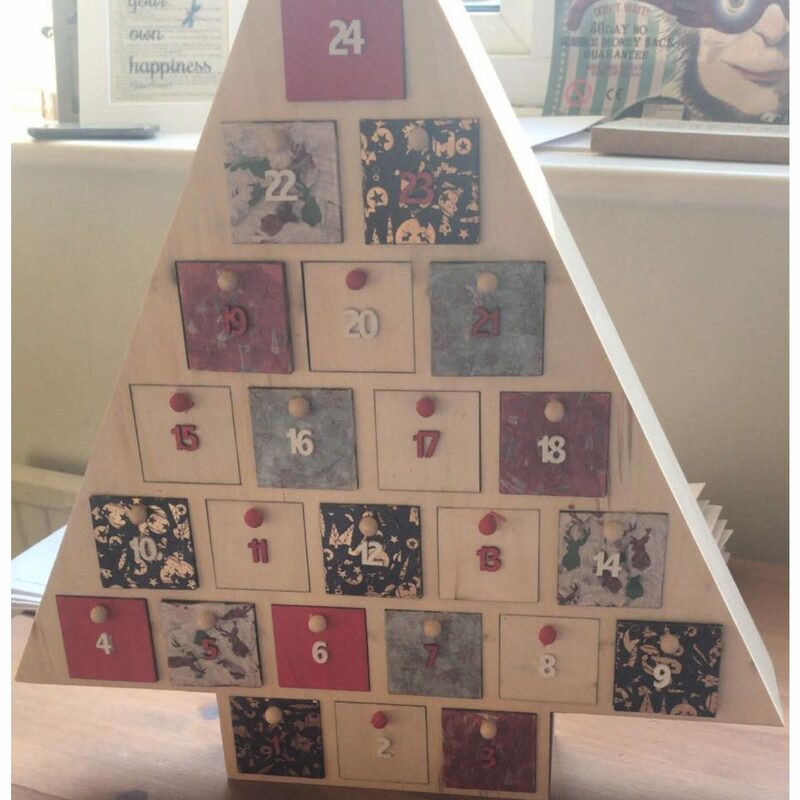 This is a great way to create a personalised advent calendar for your loved ones because it means each day they can open the draw to see something new and different, it’s a lot cheaper than buying the high street alternative to chocolate advent calendars and it’s personalised! Luckily the advent calendar is very sturdy and I’m sure it will be used for many years to come. 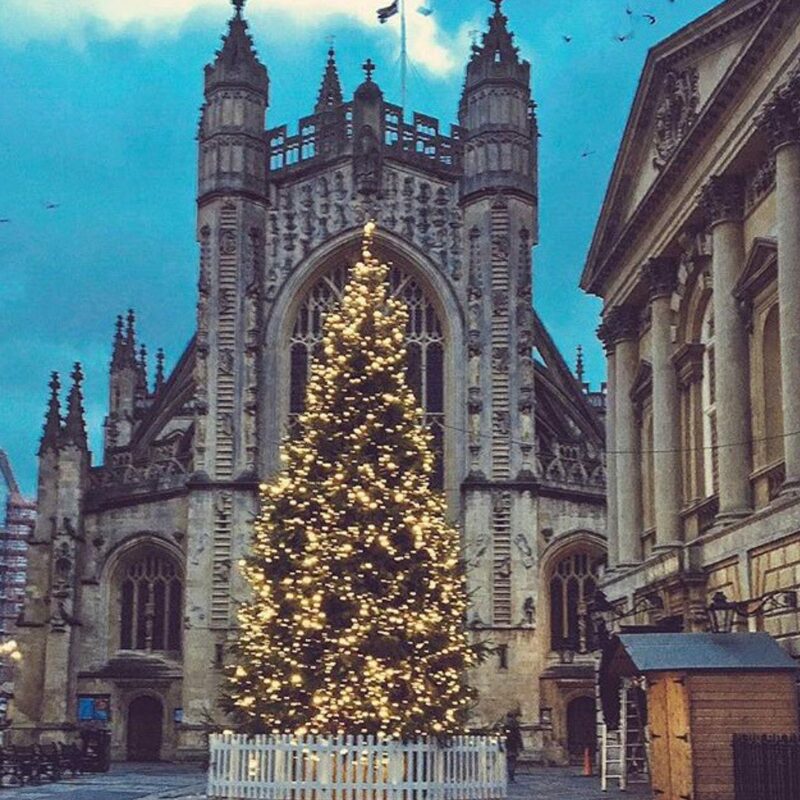 How will you be counting down the days till Christmas? I love making my own Christmas cards, so each year towards the end of November I sit down on HobbyCraft and have a think about the style of card I want to create this year. They have a really great selection of paper and card toppers that you can use to create your own little masterpieces, it’s a lot cheaper than buying shop cards and a you can personalise each card for a certain person. 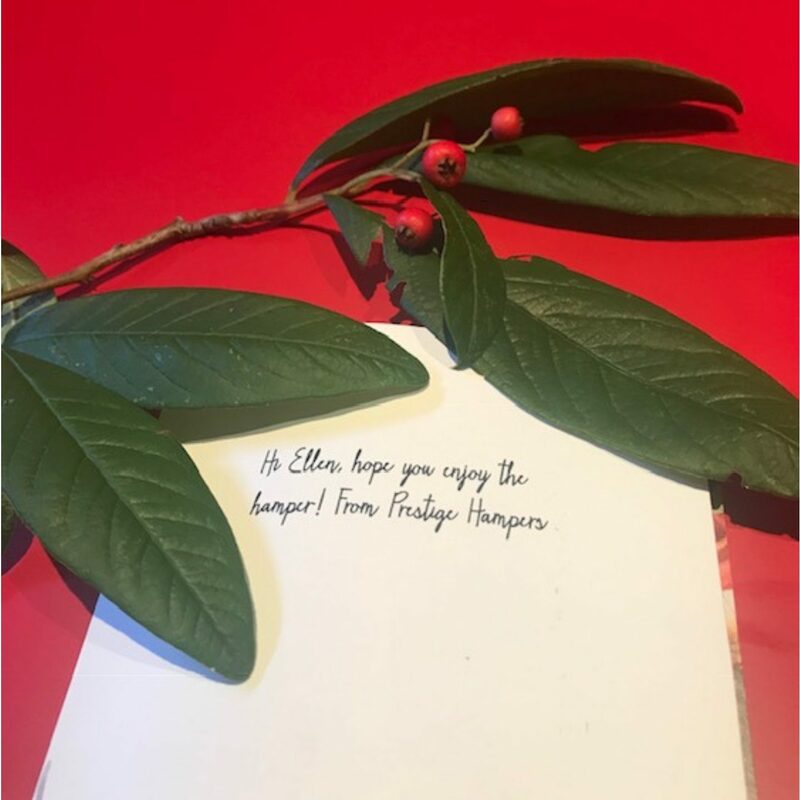 I’ll be sharing images of my cards this year on my Instagram. 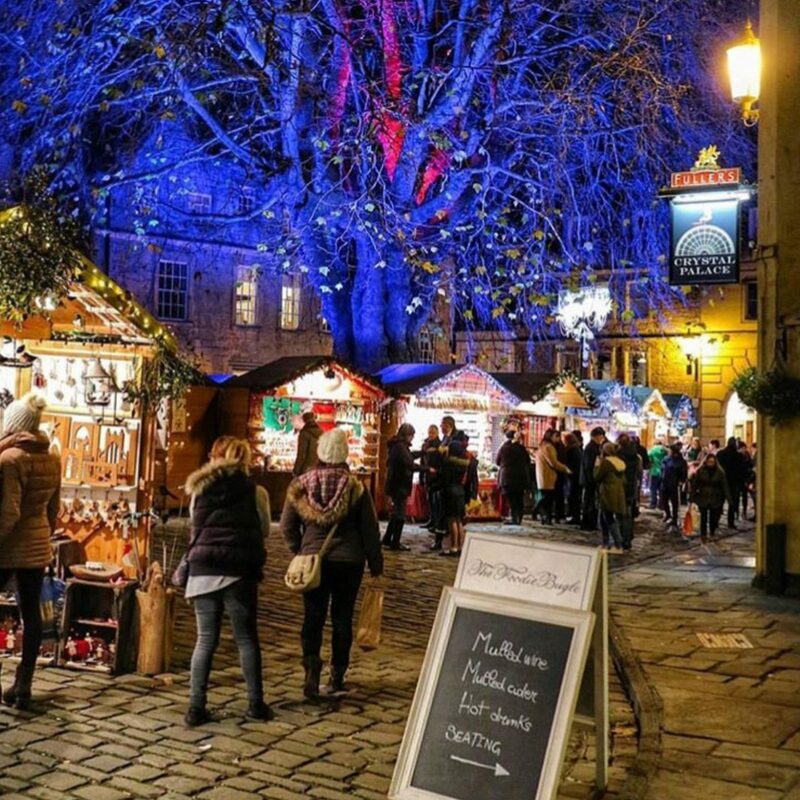 Giving hampers at Christmas originally started in France before being introduced to England in the 11th century when employers used to present their staff with a basket of treats to ensure that they had a wonderful Christmas with plenty of festive food and drink to enjoy. This is a tradition that many companies now carry on to this day. The development of the railways in the 1800s made it much easier to send perishable goods in a hamper box or basket to friends and family around the country as a gift at Christmas. So if you are struggling to think of a great Christmas gift this year, my top suggestion for 2018 Christmas gift giving is…. Christmas Hampers. They are ideal gifts for your parents, in-laws and siblings, because they offer such variety. 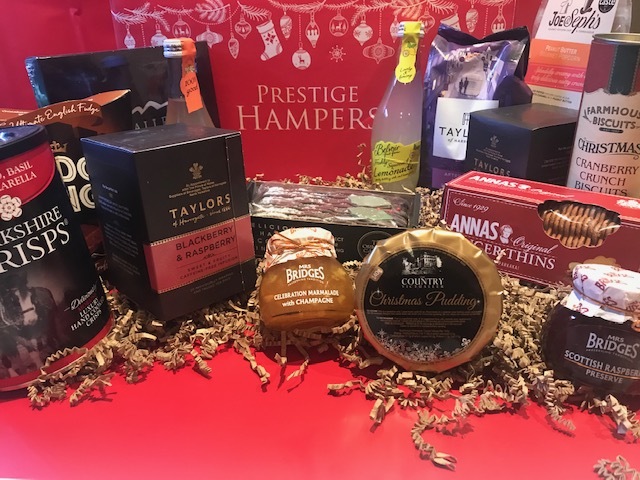 Prestige Hampers UK have a wide selection of options for you to choose from, ranging from a boxed selection of seasonal treats to elaborate hampers packed full of delightful festive food and drink. You can enjoy scrolling through and taking time to choose a hamper that matches your budget and products that you know your loved one will really enjoy. With such a wide selection of items to include in the hamper, you can easily find one that perfectly suits the recipient. My ‘Jingle all the Way‘ Hamper* arrived in a very festive red box. Before receiving the hamper I decided that although this was kindly gifted* to me, I wanted to experience the same surprise that a loved one would have before opening it for the first time, therefore I didn’t look up the contents online. Rummaging through the shredded paper was very exciting and each time I dived into the box I pulled out another high quality product, squealing with delight at each item. As you can see the contains are of exceptionally high quality including renowned brands such as Taylors and Joe & Sephs. The two key things I love most about this hamper is the wide selection of savoury and sweet products, plus all the products have a sumptuous twist of Christmas flavours (ginger, cranberry, yule cake and Christmas pudding). My parents are especially delighted to have this in the house for our Christmas this year – although there will be less of us at home we are sure it won’t be too much of a struggle for us to get through the tasty contents of this hamper. I can’t wait to tuck into the Chocolate Yule cake and try the Blackberry & Raspberry tea. Whereas my mum has her eye on the Cranberry crunch biscuits and Mrs Bridges Raspberry Preserve. 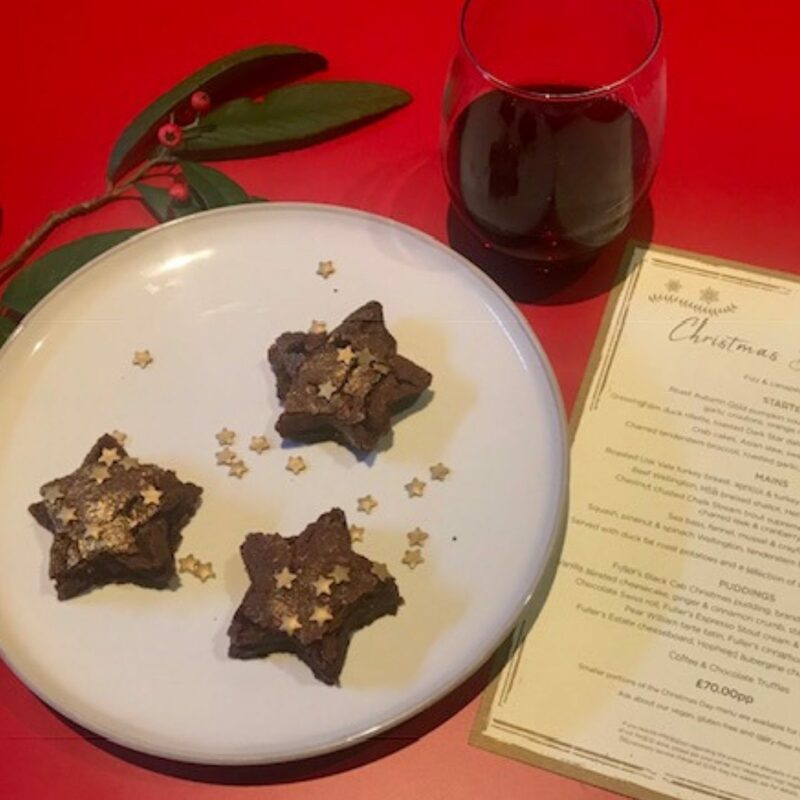 Over the next couple of weeks we will be sitting down to watch Strictly and Christmas films and tucking into some of the treats, especially the popcorn ( I will be sharing a festive twist on this snack in the next couple of weeks so subscribe to stay up to date). 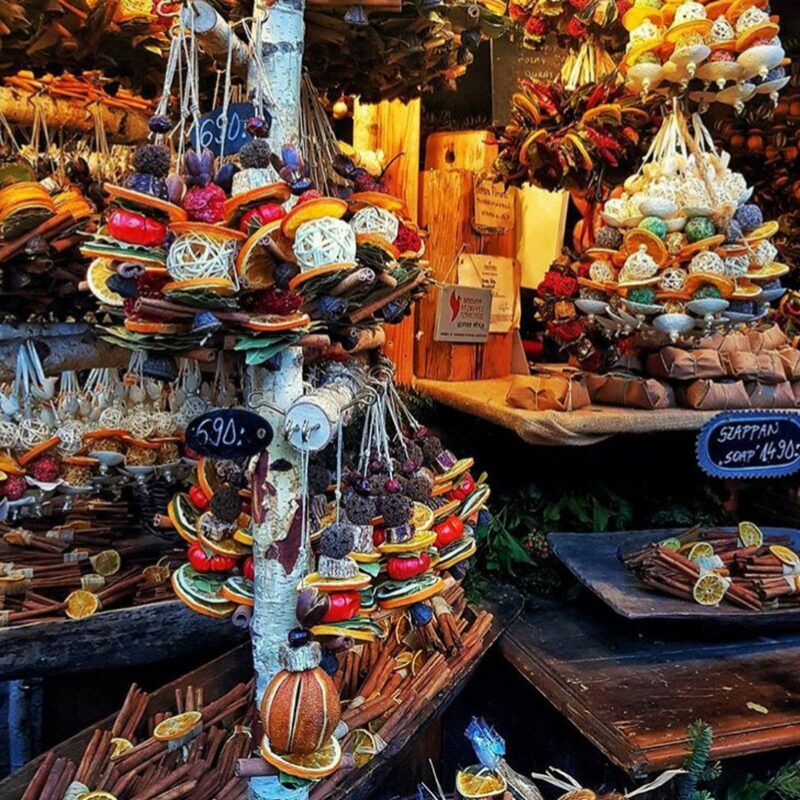 With exceptional reviews, high attention to detail and a creative selection of hampers it’s clear to see that Prestige Hampers UK is a great place to buy a Christmas Hamper gift for your loved one this year. Many families have their own traditions when it comes to Christmas celebrations so I asked my fellow bloggers to share what leaves them feeling festive and how they choose to celebrate and here’s what they had to say…..
Last year I went to Christmas at Kew with my boyfriend and we were totally blown away by the festive trail of lights, each area showcases a different lighting design and you can even stop to toast marshmellows and enjoy a mulled wine or cider. 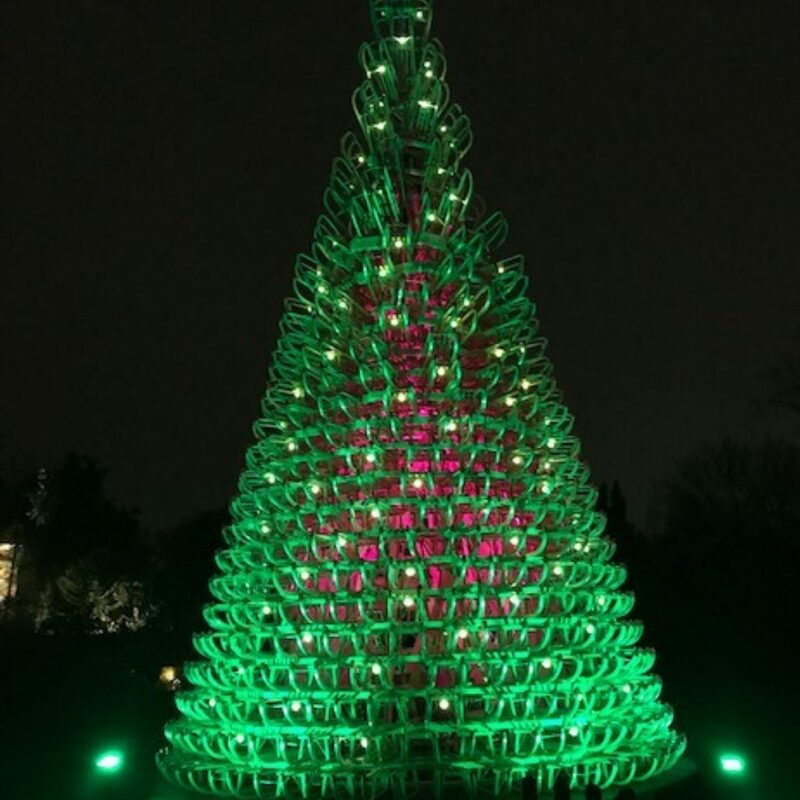 In 2017 there was a Christmas tree made out of sleighs and a light tunnel with the magnificent light display at the greenhouse designed to truly get you into the festive mood. To see photos from our visit this year make sure you are following me on Instagram . 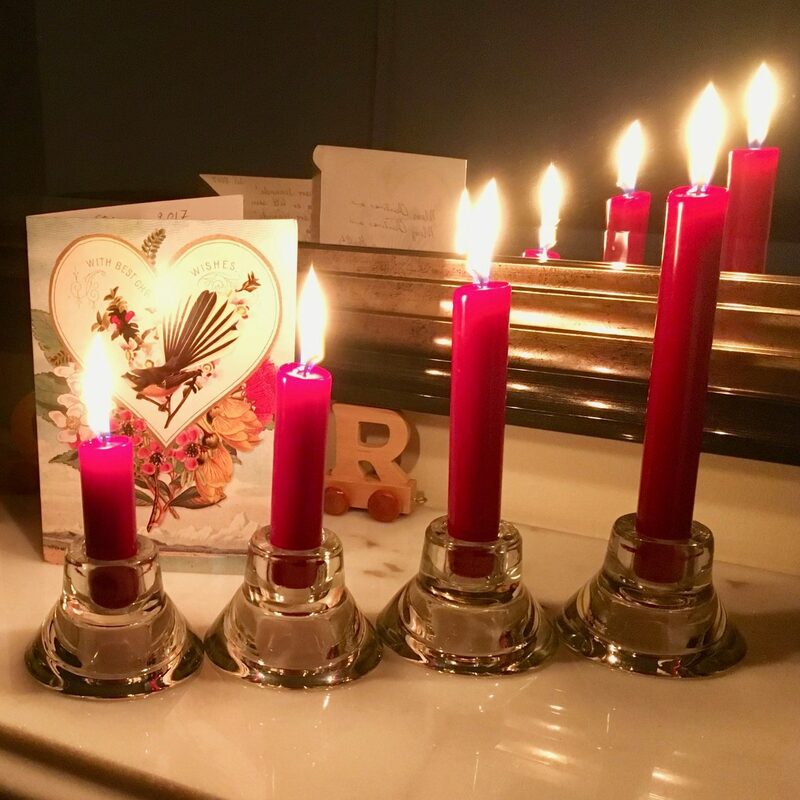 I hope this post has given you some inspiration for the festive season ahead, I wish you a very Merry Christmas and a fun December in the lead up to this special day.